UTC is the initial for “Up The Coax”. Its characteristics can be reduced to three points: Unique, Trend and Convenience. 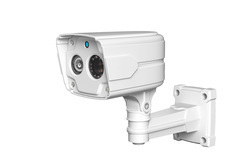 It supports the Analog CCD & CMOS CCTV camera OSD control via coaxial cable by using remote controller. This coaxitron functions let our end-users enjoy the easier and simpler way to install camera and/or control the OSD menu. 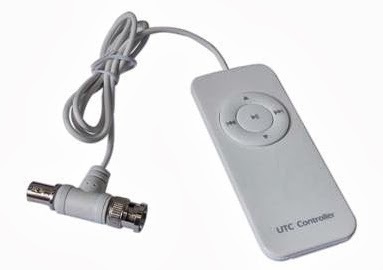 UTC is also used in DVR. The RJ208 and RJ201 are UTC Series Products. RJ102 will decode the command and send the command to CCTV ISP with GPIO standard. It’s perfect for all kind of ISP. Once user presses key button on the remote controller and then its board will send the command through video line to the RJ201 UTC Receiver which on the camera module. The RJ208 UTC is a 8 channel DVR IR receiver for decoding the IR signal from remote controller, then send the IR decoded command to the respective CCTV camera module which connected to DVR though by the coaxial cable. The Master RJ208 receive the IR signal from the TV remote controller, and decoded into channels and command, and send to the Receiver through by coaxial cable.We currently does not develop this kind of DVR products. We will introduce them to you if there is any new comes out.